Today we’ll talk you through the research and decision making process we went through when choosing our batteries and why we ended up with what we currently have. 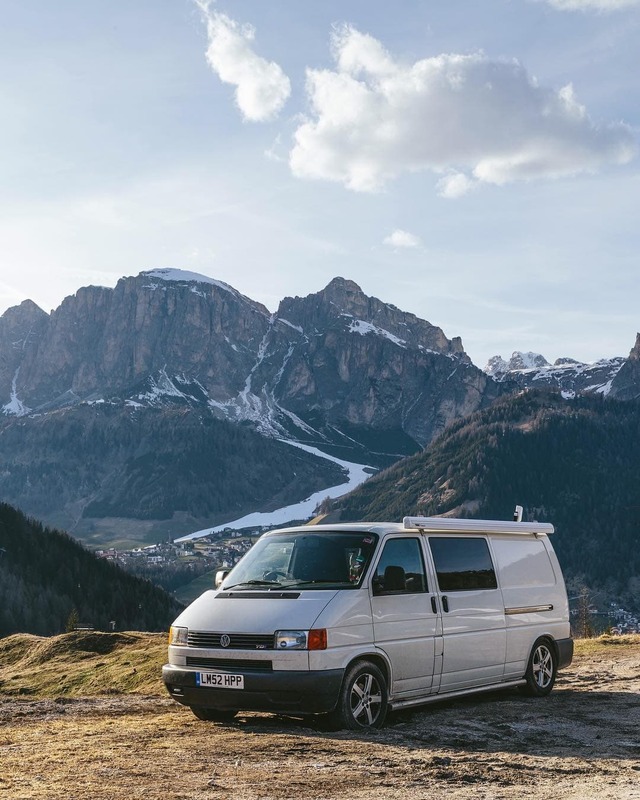 When you’re doing your van conversion you might ask yourself why you need to add to the expense by getting a leisure battery for your van, after all you can charge your devices in the front of your van. Well simply, if you want to run any actual electrics you need a leisure battery, the main reason being that you don’t want to use all the power from your starter battery otherwise you won’t be able to start the van. The compartments of a wet lead acid battery, as the name suggests, are filled with fluid. The battery will then react with the fluid which causes gases which need to be vented out of the van as battery gases are flammable. 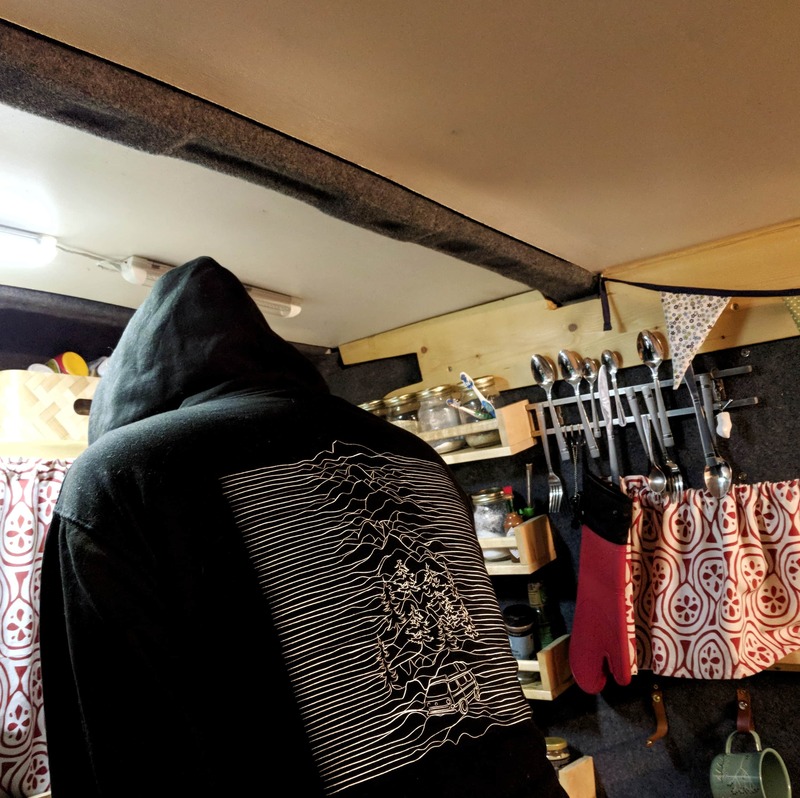 Most people do this by either venting using a tube out of the van directly from a sealed battery box or alternatively using a drop vent in the floor where the heavier battery gases can simply leak out. The downside of wet lead acid batteries is that they require maintenance to keep the battery fluid topped up as well as ensuring that they are vented properly. The pay off for this is that they are the cheapest battery type to buy so may suit your budget better. Unlike the Wet battery the compartments of the Gel battery are filled with Gel and then sealed. As they are sealed batteries they are known as maintenance free and require no topping up or venting thus making them a safer choice compared to the Wet battery. Despite being safer they offer no performance improvements over the Wet battery. Although they provide no additional performance compared to the Wet battery the Gel battery is more expensive due to the maintenance free nature as well as the additional safety. Due to the fact that the Wet and Gel battery types are made for lower consistent voltages they are unable to be used as a starter battery and thus are solely used as a leisure battery. Similarly to the Gel battery the AGM is a fully sealed battery type with its contents encased by compacted glass. It is maintenance free and requires no venting. One key feature of an AGM battery is the fact that it is a deep cycle battery. This means that it is able to cope with being discharged and recharged far more regularly which extends the life of the battery. This deep cycling also means that you are able to discharge the AGM battery to a much lower percentage basically eeking out more power from your battery bank before each recharge. AGM batteries are also able to deal with higher voltages and as such can be used as a starter battery should you need one, which is nice to know that you have a spare starter battery on board in case something goes wrong. The downside of the AGM battery is that they are the most expensive of the three I’ve listed here. How big a battery do you need? This was a question we thought about for a while, we’d watched a lot of van tour videos and read countless articles and all seemed to suggest huge battery banks in order to be able to run all of their electrics and not have to worry about power. One consideration we had was where we were going to put all these batteries we thought we needed, the more mAh’s you have the more space you are going to need to store them and the heavier they are going to be. The more we thought about it the more we came to realise that we should simply get the battery to suit our needs not based on anyone else’s set up and the only way to do that was to consider how we were going to use the battery. There are two of us in the van but what we realised was that the only things we were going to be using daily which required power were our phone and our lights. To fully charge each of our phones from empty to full would need a combined 5Ah’s. With an average of around 5 hours of light on time this would also around 3-5Ah’s daily. Other than that we would charge our laptops once every 3-4 days (we don’t use them often if we can avoid it), charging our Kindles once a fortnight, our speakers once every 3-4 days and our projector once a fortnight. Finally our camera batteries would need charging once a week. All combined our average daily Ah usage would be around 20Ah’s. Now we knew that figure we simply needed to decided how long we wanted to be able to sit in one place and be able to survive without solar or our alternator topping up our battery. 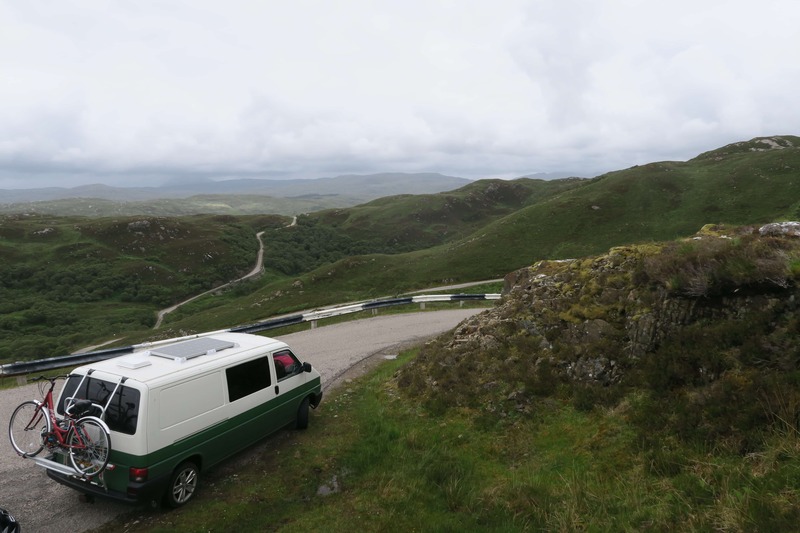 For us 3 days in the same spot was going to be the maximum amount of time we’d need and so we didn’t need a huge battery bank like you see in other conversions which saved us money on buying batteries as well as money on fuel by not having to carry the extra weight. What battery did we choose? We decided that we would buy a 110Ah Deep Cycle AGM battery. It was important for us that the battery be maintenance free so that we didn’t have to consider venting when we were choosing where to place the battery, we also wanted it to be a deep cycle battery, better honed for the discharging and recharging we would be putting it through. For us 110Ah’s was a good compromise in terms of capacity to price. We have enough power to keep both of us fully charged without having to worry about running out of power. We have lasted 3 days without solar and split charge when we experienced some early breakdowns of the system so know how far we can push our system. We hope you find our decision making process useful when you come to decide what battery to put inside your van. 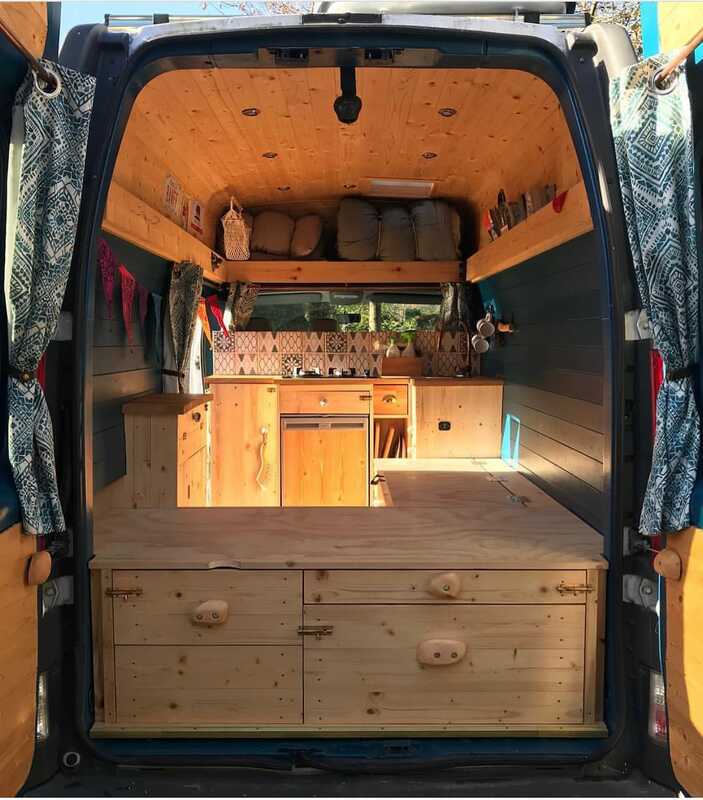 Please do be aware that we are in no way experts so it really is up to your needs and wants as to what you should get for your van, after all, it is your van!